Simon Veingard has experienced both sides of digital; on one side, as an entrepreneurial agitator, creating disruptive tech-enabled businesses and upending legacy industries; on the other, as a leader of digital transformation within challenged incumbents. He has been involved in the rapid expansion of several VC/PE-backed startups, including the global rollout of Hailo (now MyTaxi) across 20 markets and 3 continents. He was also founder and COO of Covestor, the online investment management platform which was later sold to the biggest online broker dealer in the US. Most recently, Simon was the Global Products and Digital Transformation Director at Travelex, where he was charged with driving the commercialisationof the foreign exchange retailer’s digital strategy. He currently advises organisations on digital transformation and innovation. 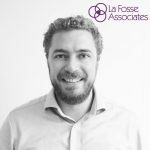 Johnnie Greenwood from technology, digital and change recruiter La Fosse Associates interviewed Simon Veingard on his seven key steps for a successful digital transformation. 1. Ensure key stakeholder’s goals are aligned. 84% of digital transformations fail. There are many reasons for this, but amongst the most fundamental are a lack of common understanding of the meaning of digital transformation and a lack of alignment on its objectives and how these fit with the overarching strategy of the business. Without alignment and sufficient commitment and support from the Board and CEO, companies are more likely to be frustrated in their efforts because expectations of success will be different. Transformation is an ongoing journey, so the Board and Exec need to understand the commitment being made and acknowledge that it’s hard – there are few quick fixes and some initiatives will fail. Alignment on purpose and success criteria sets expectations and supports decision making. An ambitious digital transformation programme will prioritise long termenterprise value creation over short-term revenue / EBITDA. 2. Build a vision and digital strategy based on deep market and customer insight. Strategy rather than technology drives a successful digital transformation. Start by understanding your market dynamics, competitive landscape as well as macro customer insights and trends. How is the market evolving? 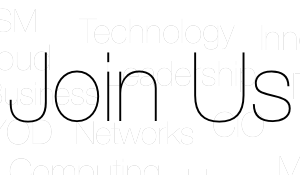 What macro challenges does your sector and adjacent verticals face? What are incumbent competitors investing in and changing? How are digital disruptors redefining the market? How are customer needs and expectations changing and what role does digital play in this? Determine how you can best compete in a rapidly changing business context, with more nimble and often single-product focused digital businesses underpinned by different commercial models (i.e. funded to drive growth vs profitability). What are your strategic assets (e.g. brand, existing customer base, distribution, IP, data) and how can they best be leveraged through a transformation agenda to deliver against the desired outcomes? Don’t operate in a silo – involve the business, especially key stakeholders including those closest to customers and owning the P&L. If your organisation has multiple OpCos, business lines or operates across multiple markets, ensure you understand the key nuances between each. 3. Decide where you’re playing on the innovation continuum. As part of building a digital transformation strategy, it’s essential to determine how to invest on the innovation continuum, considering how this fits with the organisation’s overarching strategic objectives. Portfolio approach and investment allocation. Organisations should adopt a multi-pronged portfolio approach and an investment allocation model that aims to deliver payback across different time horizons. This also reduces risk, recognisingthat some initiatives will fail – which is the norm when trying to break new ground at speed. An understanding of the level of ambition and commercial outcomes a transformation is attempting to drive, supported by a deep grasp of the market context will help determinate how to allocate investment across the continuum. Is radical change an essential ingredient for success? Does the business have any other choice but to invest in radical change to survive as disruptive models gain traction? Can you continue to be successful by standing still and offering the same products and services with the same customer experience you always have? If you’re a retail business for example, can you really afford not to reinvent yourself? Is there appetite to invest in longer term innovation initiatives which by nature are higher risk, take time to payback and come with material risk of failure? How can you make the threat real to those stakeholders around you not so sure? What are the cannibalisation risks and how to best mitigate them? Speed of adoption. Does the organisation want to be an innovator, i.e. be first to market with new products / services or a fast follower? What are the commercial implications of either approach? It’s imperative to closely watch emerging trends – be cognisant of new technologies and take a pragmatic view about investments. How mature is the technology? How might it enhance the customer experience? What business outcomes might it support? Again, also consider through the prism of wanting to be seen as an innovator versus fast follower. The difference between being an innovator and a fast follower is not always reflected in a higher commercial return for the former vs the latter. Apple has often been called a fast follower. For example, it didn’t invent either the MP3 digital music player or music streaming services but it perfected the user experience and then went on to take material market share in both markets, a trick it’s successfully repeated numerous times. 4. The customer is king but don’t forget about creating business value. Where Simon has observed the most success is where the customer is at the heart of digital strategy and where critically, teams are also ‘insight led and outcome driven’. In other words, they assess solving customer needs in the context of both commercial objectives and the broader market landscape – it’s not about building cool features or solving customer needs in abstract. Desired value might be financially driven, for example top or bottom line growth, or non-financially driven, for examplecustomer engagement (frequency, retention rates etc.) or satisfaction (NPS, referral %, age etc.). It is important to be clear about the value levers any activity is attempting to drive. Having defined success measures and commenced the build phase, start planning the go-to-market strategy early and involve the relevant stakeholders who will drive the commercial outcomes in the process – do not leave this until close to launch. 5. Make it real for the organisation. However you organise, driving change with uncertain outcomes and adopting digital start-up rhythms, tools and techniques in an environment used to operating at a slower pace and with different governance structures and modus operandi is likely to create uncertainty, confusion and possibly scepticism. Communication and continued buy-in is key. Make it real by (i) actively engaging with those closest to customers; (ii) delivering tangible quick wins; (iii) continually educating and communicating organisation wide – paint the big picture, i.e. the long game and make it real and relevant. 6. Culture and ways of working are key. A culture that supports innovation and change at speed, supported by complimentary ways of working are two essential ingredients for transformation success. A recent Cap Gemini survey found that culture is the number one hurdle to digital transformation. The organisation will need to operate in a way unlikely to have been experienced before. Customer centricity, innovation, agile, autonomy, minimum viable product, continuous delivery, failing fast, cloud technologies and data science are just some of the standard disciplines, behaviours and tools adopted by digital native businesses, some or all of which are likely to be new to organisations wishing to embark on digital transformation. Introducing these alongside an existing culture is almost certainly the biggest challenge of transformation. It requires considerable upfront thought and investment to evolve the culture to foster a more collaborative, fast, flexible, test-and-learn and customer-focused mindset. Plus, explore building a twin-track IT infrastructure to minimise the impact of legacy systems and ways of working on the speed of innovation. 7. You can jump on the shoulders of others. It is unlikely you can be as nimble as a start-up or have the right to win across all touch-points. Think about the best way to achieve your goals, optimising for speed and success. How can you engage with others to execute faster and increase likelihood of success? Considerations include (i) what IP, touch-points, data and technology are critical to own versus buying or partnering; (ii) how to reach / engage (and retain) customers at scale; (iii) ability to attract the full spectrum of digital talent; (iv) where you have a right to succeed versus others, i.e. ability to win? It’s too simplistic to think you will build everything in house – be open to figuring out how best to leverage both the broader start-up ecosystem and other partnerships. There it is in a nutshell … Great article!